Ranked as one of the best places to live by CNN/Money Magazine, Mansfield can be found in four counties in Texas: Tarrant, Johnson, Ellis and Dallas. It is located near the Dallas-Forth Worth Metroplex, giving you plenty of opportunities for work and entertainment. When you purchase one of the many homes in the city, you count yourself among the more than 59,000 residents who have already fallen in love with the area. The area was settled in the 1840s by Scottish and Irish immigrants who followed the frontier as it moved west. Homesteads were established in the area in the 1850s, and the first church and original school were in place by 1860. The city bloomed when mills were built and was given the name “Mansfeild.” The name was misspelled so many times over the years that it finally became “Mansfield” by default. Today, the city has moved away from its humble roots and turned into a thriving town. With shopping areas, restaurants and more, the area has everything anyone interested in real estate could want. Modern amenities and close proximity to major cities make this a strongly desired area to live for young professionals and families alike. It is hard to believe that such a big city has beautiful green space, but you will find more than 500 acres of parkland in this area. Imagine living in the big city and still having the chance to get out and enjoy all that Mother Nature has to offer. Not only can you find city parks, but athletic fields that cover 50-plus acres, recreational facilities and spaces to rent for your next get together. When you purchase one of the many homes available in the area, you put yourself in close proximity to a variety of attractions. Hawaiian Falls is an incredibly popular waterpark, historic downtown offers a getaway close to home, and Six Flags Over Texas is right in nearby Arlington. You can easily find a new adventure every weekend. Sports fans will fall in love with the city. With the Cowboys Stadium and Rangers Ballpark just miles away, you can root on your favorite teams every chance you get. The Fort Worth Zoo and the Dallas Museum of Art are fantastic options for families. You can click here for more events in the city. Suffice it to say that there are too many to list. Every season has its own festival, fair or celebration open to the public. From the Pickle Palooza 5K to the annual Independence Day celebration, there are exciting events held throughout the year. 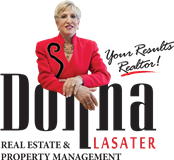 If you are interested in purchasing one of the many properties available in this lively city or in nearby DeSoto, contact Donna Lasater today. Donna will be happy to provide you with more information.